A hot tub can be a nice piece of equipment to have if you money for it's upkeep and the time to be able to use it, but what happens when the hot tub quits functioning, or you no longer want it or want a larger hot tub and need to get rid of the old hot tub. You can't really carry that large, bulky and heavy hot tub down to the curb to be picked up the city. 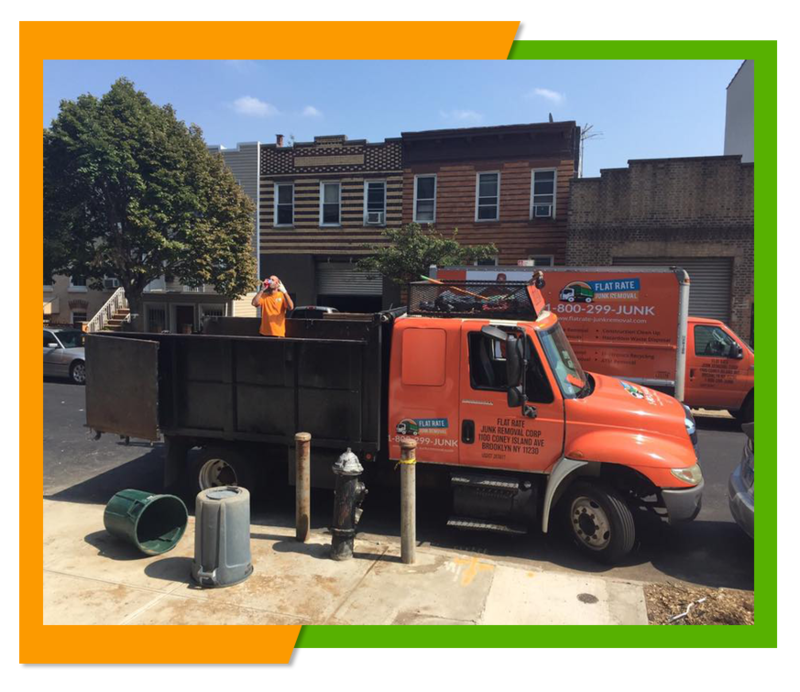 Besides even if you could have the city pick up such a large piece of equipment, getting it to the curb without the proper tools would be impossible and back breaking. Wouldn't it be nice if there someone who would come and haul away that hot tub for you without you lifting a finger? Well you can by calling our company at Flat Rate Junk Removal. All you need to do to get that hot tub removed is to give us a call and arrange a time that is convenient for you to have us come and remove your hot tub for you. We will come to your location and remove that hot tub doing all of the heavy lifting for you and even clean up the area around the hot tub. Unlike some junk companies that charge a premium for large loads such as hot tubs we charge a simple flat rate regardless of the size of your load or a single item. There are certain parts of your hot tub that can be recycled saving on the amount of waste thrown into a land fill. We will recycle those parts for you and dispose of the parts that can't be recycled. Many of our customers tell us they feel good knowing that by hiring our services they are also helping the environment. Unlike many other junk companies that quote you one price and always seem to tack extra charges onto your bill we never charge more that the price we quote you for any given job. You'll never be surprised when you receive you bill by any additional charges you are unware of. If you want to get an estimate for the removal of that hot tub then just give us a call and we will give you a free estimate so you know upfront what it will cost to hire our services. You can also get a free estimate by visiting right here on this website www.flatrate-junkremoval.com and speaking to our online representative who will arrange for an estimate and answer any questions you may have. 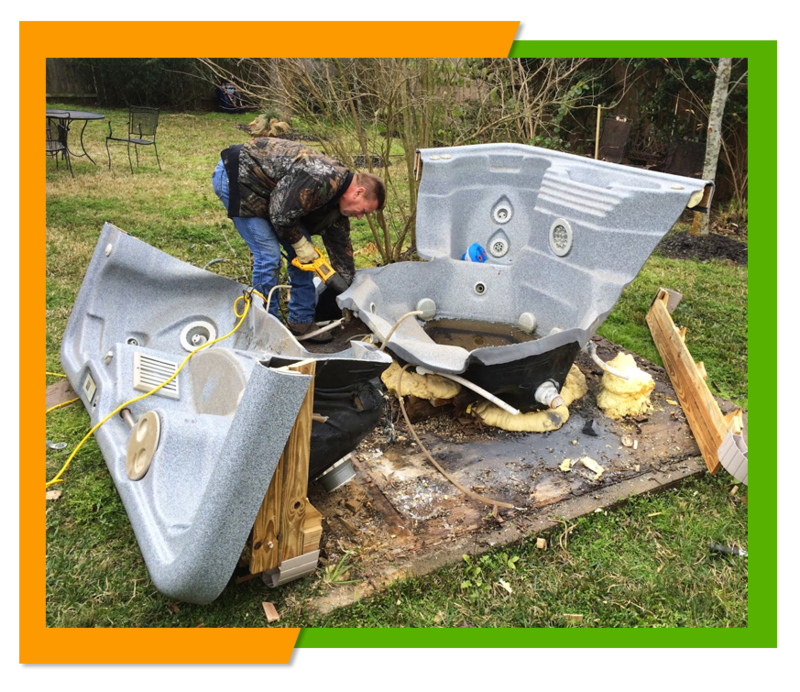 If you are ready to have that unwanted hot tub removed then give us a call at 1-900-299-5865 and arrange for your pick up. We even provide same day services so if you need that hot tub removed immediately we can do that for you as well.